William Perkin's accidental discovery of the first chemical dye - mauveine - in 1856 when he was only 18 was the foundation of science-based industry. Before this tremendous breakthrough, fabric dyes had all been natural. Ripples from this discovery spread not only to further fast synthetic dyes but also to artificial food colourings and modern chemotherapy, the latter being an interesting twist because Perkin had been trying to synthesize quinine as a malaria cure when he made his fantastic discovery. 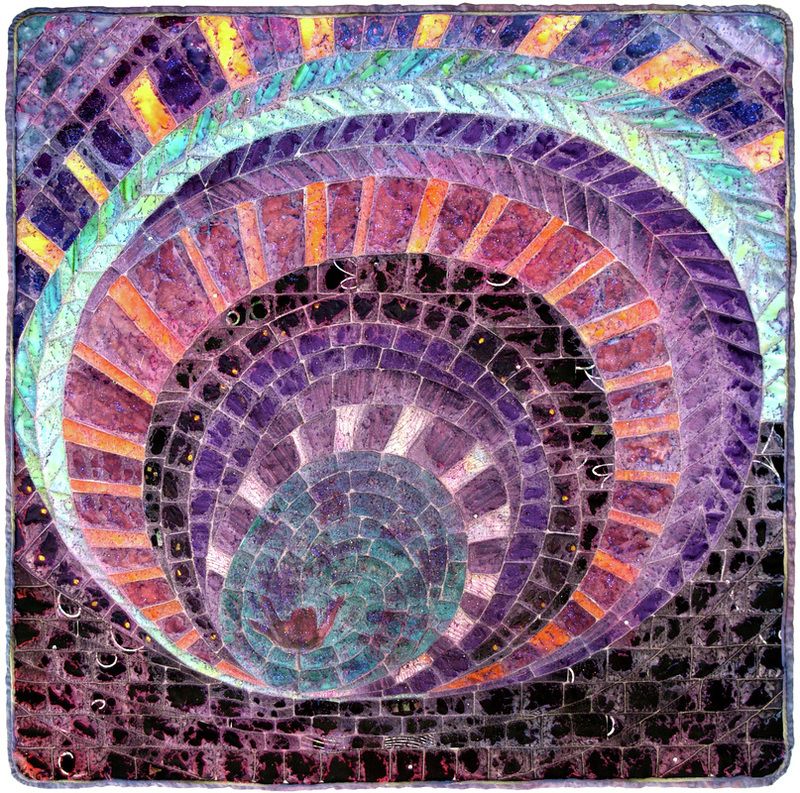 My mosaic technique, whereby individual pieces are fused to a base fabric to create the whole, is my starting point. Mauve silks, cottons and synthetic fabrics were layered with organza and chiffon, and then machine quilted and burnt back. Mauve 'Glimmer Mist' and 'Alchemy Glacier' were then applied. The edges were piped and bound with the backing fabric.